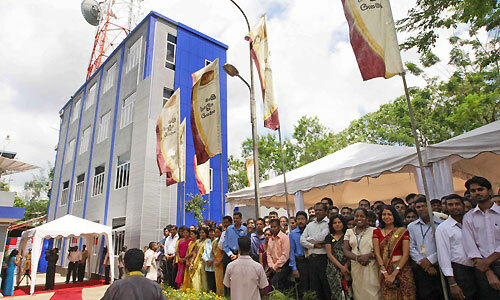 President Mahinda Rajapaksa declared open a new building and A.P. Samarakoon Studio at Independent Television Network (ITN) at Wickramasinghepure, Battaramulla on 19th April. 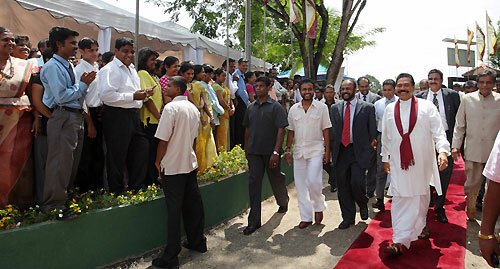 ITN is celebrating its 30th anniversary this year and the President visited the premises to mark the occasion. His visit is significant because this is the first time a head of the state visited ITN since it was established. Secretary to the Ministry of Media Mr. W. B. Ganegala, ITN Chairman Mr. Anura Siriwardena, former ITN News Director Sudarman Radaliyagoda and Mr. J. R. P. Sooriyapperuma were also present at the occasion.